At SIAM Kickboxing and Muay Thai we are dedicated to providing authentic Muay Thai training to anyone with the desire to learn. Here at the gym our #1 priority is that all of our students and athletes, whether competitive or not, are being developed to their maximum potential. Ring fighting is only one part of our training program, since a lot of people have no desire to compete. What we are training for is optimum fitness/health and practical, realistic self-defense. Our gym is a professional, friendly, non-threatening environment suitable for fighters and fitness enthusiasts of all levels. Fitness: Thai boxers are known as the best conditioned athletes in the world. It’s the toughest workout you’ll ever love. Effective Self-defense: Muay Thai is the best stand-up martial art. It is quick and effective the best way to learn how to move your body with balance and power. 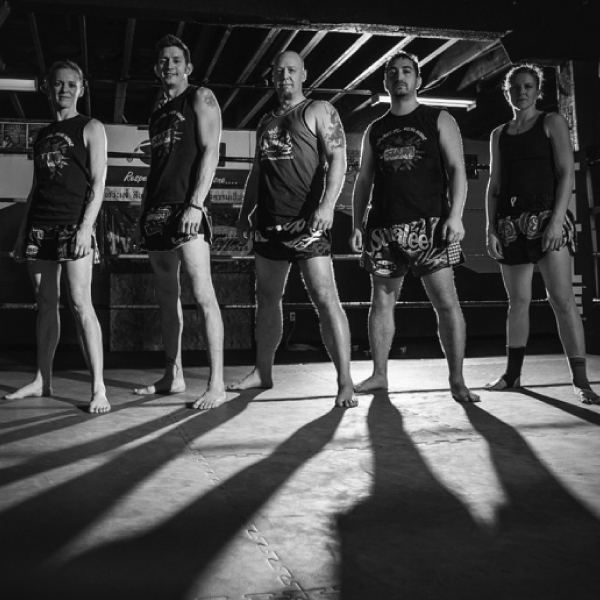 Muay Thai has a no-nonsense approach to self-defense. To defend yourself is to walk with confidence. Fun: Muay Thai is a blast! Every session has musical pulse and rhythmic grace that people love. You’ll get the fitness results that you’ve always wanted, surrounded by positive people in a healthy atmosphere. Fighting spirit: Muay Thai generates mental focus and self-assurance that helps people in all areas of their lives. Feel the inner strength, see the external results. Train with a fierce heart and spirit that only real Muay Thai can invoke. Adult classes run 6 days a week and are open to men and women aged 14 yrs. and up. We also run a Muay Thai Kids' class two days a week. Check it out here. So give us a call to make your appointment to take your FREE class today!